A record 10 UAE residents have made it to the Forbes' 2015 Billionaires List, with a combined net worth of a whopping $34.1 billion (Dh125 billion). The US-based magazine today published its annual global billionaires’ list, which shows that the number of billionaires in UAE has gone up from eight in 2014 to 10 in 2015, and the combined wealth that the UAE’s billionaires have at their disposal has surged almost $10bn (Dh36bn) from $24.2bn (Dh88.8bn) last year. Among the billionaires from the UAE, four are Emiratis and six Indians who’ve made the UAE their home. #1 Abdulla bin Ahmad Al Ghurair & Family tops the UAE list, ranked at #220 globally (#305 in 2014), and with wealth estimated at $6.4bn (Dh23.5bn), a massive improvement over the $4.8bn (Dh17.61bn) they commanded last year. “Abdulla Al Ghurair and his billionaire brother, Saif, are scions of a prominent UAE business family. 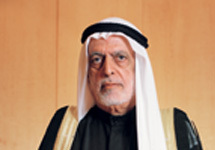 In 1967 Abdulla founded Mashreqbank, now one of the country's leading banks. He remains chairman and his son Abdul Aziz is CEO,” says his profile in the Forbes listing. “The family holding company is run by an outsider, with the help of Abdulla's sons who oversee various divisions including food, construction, and real estate. Abdul Aziz heads the Family Business Network Gulf Cooperation Council, which aims to modernize family businesses, while ensuring they remain in family hands,” it adds. #2 At No. 2 in the UAE is Majid Al Futtaim, ranked #230 globally (#338 last year) and with a personal net worth of $6.2bn (Dh22.77bn). Majid Al Futtaim’s wealth estimate too has improved by more than Dh5bn in one year, up from $4.5bn (Dh16.5bn) last year. “Majid Al Futtaim is the brother of billionaire Abdulla Al Futtaim. Non-family members run his eponymous holding company, which operates malls and Carrefour hypermarkets across the Middle East, North Africa, and Central Asia. "Michael Rake, the chairman of British telecom company BT Group, is chairman. Although privately held by Majid, it is the most transparent conglomerate in the UAE, raising capital on the financial markets and publishing its financials,” states his Forbes profile. #3 Rounding up the top 3 billionaires in the UAE is the Indian-born, Dubai-based Micky Jagtiani, who ranks #291 globally (#281 in 2014) whose current wealth is estimated at $5.2bn (Dh19bn) by Forbes, up from $5bn (Dh18.4bn) last year. “Middle East retailing juggernaut, the Dubai-headquartered Landmark Group, was founded by Micky Jagtiani in 1973 with one store in Bahrain after his father and brother died. It generates $5 billion revenues annually from more than 1,900 stores across the Middle East, Africa and India,” Forbes states in Jagtiani’s profile. “Landmark is stepping up expansion in fast food and restaurants through its food and beverage unit Foodmark, which has the Middle East franchise for Jamba Juice and Sweden’s Max Burger, among much else. After ending a 2-year alliance with France's Groupe Auchan that operated 13 hypermarkets in India, Landmark teamed with Dutch retailer Spar. The privately held group, which wife Renuka helps him run, also has interests in hotels, healthcare, fitness gyms and confectionery,” it adds. #4 Saif Al Ghurair, whose brother ranks No. 1 among UAE’s richest, is at No. 4 in the country and #512 globally (#609 last year). His net worth is estimated at $3.4bn (Dh12.5bn) by Forbes, up from $2.8bn (Dh10.3bn) last year. “Saif Al Ghurair is the former chairman of family holding company Al Ghurair Group. He and his brother Abdulla, also a billionaire, are scions of an old Dubai merchant family. Six of Saif’s sons hold positions within the group, which has interests in banking, steel, and plastics for food packaging. Abdulrahman is chairman and Majid is chief executive. Saif is also a major shareholder in Mashreq, a leading Emirati bank run by his nephew, Abdul Aziz Al Ghurair,” lists his Forbes profile. #5 Ranked at No. 5 among the UAE’s richest is Abdulla Al Futtaim (#557 globally, #687 last year), with his current wealth estimates at $3.2bn (Dh11.8bn), up from $2.5bn (Dh9.2bn) last year. “Abdulla Al Futtaim owns conglomerate Al Futtaim Group, which is run by his son Omar. It is the exclusive distributor of Toyota and Honda vehicles in the UAE, and sells Toyotas in Egypt. In addition to its automotive business, Al Futtaim owns the franchises for Ikea, Toys ‘R’ Us, and Marks & Spencer, which anchor its real estate projects, such as the urban community of Dubai Festival City, and the newly opened Cairo Festival City. Al Futtaim is the brother of Majid, also a billionaire,” his Forbes profile notes. #6 At No. 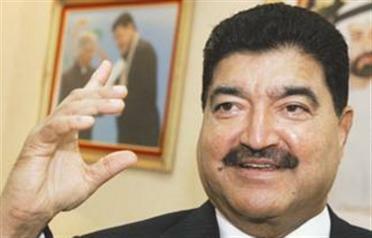 6 among the UAE’s richest people is Indian-born and Abu Dhabi-based M.A. Yusuff Ali with a net worth of $2.5bn (Dh9.2bn), up from last year’s $1.8bn (Dh6.6bn). He is ranked #737 globally (#988 last year). “Indian-born retail king of Abu Dhabi, MA Yusuff Ali controls the $5.8 billion (revenues) LuLu Group, which has 114 hypermarkets, supermarkets and grocery outlets, mostly in the Middle East. It has lately expanded into Malaysia and Indonesia where its 'halal' products are popular,” says his profile. “Yusuff Ali, who hails from a village in the southern Indian state of Kerala, is pumping investments back home. He already has a LuLu mall and two Marriott hotels in the southern Indian city of Cochin where he maintains a 60,000-square- foot waterfront home. He's now building a technology park called the Lulu Tech Park and a Grand Hyatt hotel,” it adds. #7 Following him at No. 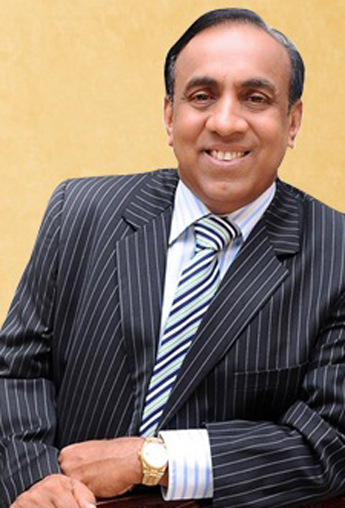 7 in the UAE is Dubai-based real estate tycoon Ravi Pillai, with a net worth of $2.4bn ().He is ranked #782 globally (#988 last year). “India-born, Middle East construction tycoon Ravi Pillai controls the $3.5 billion RP Group whose flagship is Nasser Al-Hajri Corp., a construction heavyweight in Saudi Arabia. He owns a 50 per cent stake in the privately held firm, which is named after his local partner,” says his profile. #8 Education czar Sunny Varkey is ranked at No. 8 in the UAE and #949 globally (#988 last year). The net worth of the founder of the world’s largest KG-to-Grade 12 school operator is estimated by Forbes at $2bn (Dh7.4bn), up from $1.8bn (Dh6.6bn) last year. 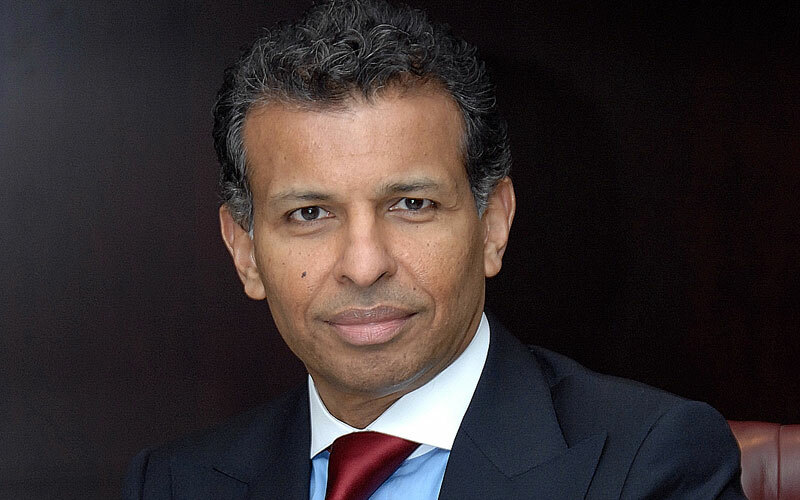 “Son of expat teachers, Sunny Varkey created Gems Education, the largest operator of private kindergarten- to-grade-12 schools in the world, with 50 schools and 140,000 students across the Middle East, Africa, Europe, Asia and North America. In October, he sold a 20 per cent stake for an estimated $350 million in its emerging markets business, covering the Middle East, North Africa and East Asia to a consortium of investors which included Blackstone and Bahrain's sovereign investment arm,” notes his profile. #9 At No. 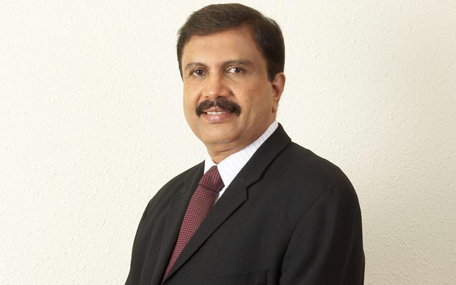 9 in the UAE is another self-made Indian expat BR Shetty, who has interests in healthcare and foreign exchange remittances. With a net worth of $1.7bn (Dh6.2bn), Shetty ranks at #1118 globally (#1565 last year). “Former pharma salesman B.R. Shetty immigrated to Abu Dhabi in 1972. He made a big splash last May with the acquisition of UK foreign exchange group Travelex Holdings for an estimated $1.6 billion together with Centurion, the investment arm of Saeed Bin Butti Al Qabaisi, his longtime business partner,” lists his profile. #10 Rounding up the UAE’s representation among the world’s billionaires is Azad Moopen, with a net worth of $1.1bn (Dh4bn). He is ranked at #1638 globally. “Physician Azad Moopen founded and chairs Dubai-based Aster DM Healthcare, a leading health care provider in the Middle East and India. He was a professor at a government-owned medical college in Calicut in south India before he immigrated to Dubai in 1987, where he set up his medical practice,” his profile says.